I know for a fact that many of the first game’s most ardent fans will disagree vehemently with this, but for my money Mass Effect 2 will stand as one of the primary examples of how to improve on a game for its sequel. It may have jettisoned some of the RPG ideals of the first game, but I found its attempts at streamlining perfect, creating a brilliant action-RPG – emphasis on the ‘action’ – with one of the best open-ended stories in recent history. The important thing is that what the first game did best – creating a wonderfully vibrant and believable sci-fi universe – was preserved and expanded. 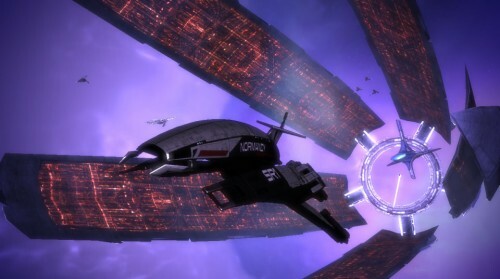 There’s a slim line between streamlining and dumbing down, and I think Mass Effect 2 is an example of it done right. While it was now more limited in being able to explore hundreds of largely redundant rooms on the Citadel, for instance, what was there was more detailed, more populated, and felt more like a real galactic capital. You couldn’t land on every planet any more, but the ones with missions were more unique and often looked beautiful, rather than constructed from a handful of set assets. One area where I’ll give the first game a slight edge is in its story, as I liked the mystery around Saren and Sovereign more than this game’s Cerberus and Collectors, but the execution of this game’s finale was leagues ahead of anything in that game. The wanton way in which it would kill supporting characters, even making it possible for Shepard himself to not survive for Mass Effect 3, was extremely brave, the knowledge that it was possible for everyone to make it back alive – managing that was one of my proudest gaming achievements, definitely – made any deaths really hit home. It forced you to delve into everyone’s back story, which also made you care and caused every loss to hurt. 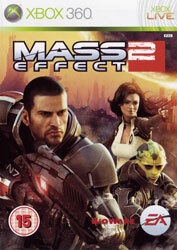 Mass Effect 2 is yet more proof, then, that Western developers are now the ones to watch when it comes to RPGs. BioWare had the courage to massively overhaul what was already a minor classic, and in doing so created what must go down as one of the generation’s best games. 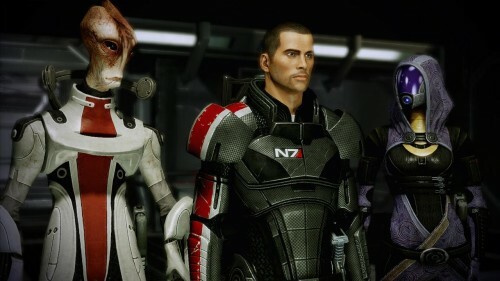 Bring on Mass Effect 3. What is likely to be Bungie’s last entry in the series that it grew from niche Mac RTS to one of the biggest FPS franchises in history proved to be a fitting goodbye. It was almost like, freed of fitting another game into the Master Chief’s story and carrying the Xbox brand now that games like Gears of War can share the load, Bungie was able to flex its creative muscles, and while I’ll concede that it’s still super soldiers killing aliens, it was the most fun I’ve had with a game in this series since I first took it online. Multiplayer-wise it’s certainly my game of the year, and I’ll take this straight challenge of who knows the maps and weapons better than the next guy over the unbalanced quick fix of Call of Duty, let down only by a limited map selection. Halo 3’s integration of multiplayer and its lobbies into everything is only just coming into touching distance of other games and the setup is just as formidable here. 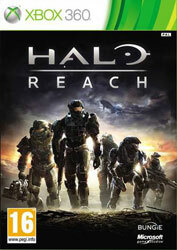 Going back to the point about originality, it’s true that Reach doesn’t have a lot of it in its story. Nonetheless, as a Halo fan I adored it. Seeing a team of Spartans doing what I’d so far only read about would have been enough to make me go a little bit in my pants but, cliched as they were, I cared when they were inevitably cut down. Set against such a beautiful and varied backdrop and with so many memorable moments – the level that takes you from ground level into a space battle and on to low-gravity combat in a vacuum before its explosive ending is an obvious high point, but the melancholic final moments also deserve love – I have to give Reach as both my favourite Halo game and one of 2010’s greatest. It’s been a struggle for me to get through Mass Effect, but I recently managed it at my third attempt. One spell on Christmas Day 2007, another attempt in early 2009, and then a final, successful run at it at the end of the year, finishing it at 8pm on the last day of the year. Even though I came away from it eager to play the sequel and with a thirst for more on the game’s universe – I’m reading Mass Effect: Revelation at the moment, which is up there with the Halo novels as great sci-fi literature – I still have some massive reservations about the game. Generally speaking, it’s a bit of a kludgy mess. Graphically it’s nothing all that special and yet has a poor, frequently awful, frame rate. 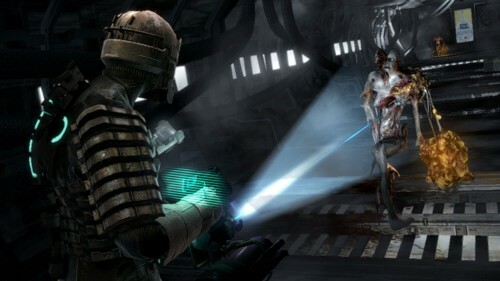 There’s very little guidance, instead dropping you immediately into one of the game’s more intense action sequences. Item management? Don’t even think about it; I didn’t brave that menu until I was warned about running out of space, at which point I had to scroll down a gigantic list of items that couldn’t be sorted. Dialogue trees work well but are sometimes marred by that frequent gaming pitfall of giving you a ‘choice’ between sweetness and light or pure evil. The dialogue and writing are very good, but really, would it have killed the characters to move occasionally while speaking? Or even – God forbid – have your party of three break from their V formation when conversing? One thing that entertainment media has known at least since The West Wing is that people standing still and talking is boring to watch, especially when it’s two human characters in an identikit corridor who look vaguely like melting mannequins. Look at Captain Anderson and his perpetual look of mild surprise. Like I said, I did ultimately come away with a positive impression of the game, just because BioWare created such a good universe here, and from what I’ve heard, Mass Effect 2 is a significant improvement in every area, so I’m very much on board with that one. It just escapes me how such a fundamentally flawed game can get such unanimously superb scores. I don’t think I’ve ever wanted to like a game so much and yet had to fight so hard to do so. It’s good, for sure, but full marks? You must be joking. It’s not often that a Hollywood blockbuster comes along with the full force of the hype machine behind it and doesn’t end up disappointing, but this is not one of those times. 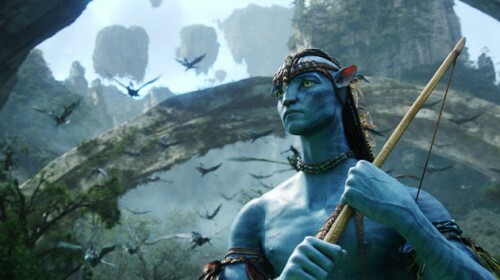 Avatar comes saddled with a budget big enough to bankrupt a small country and stories about how technology had to be invented just to make it possible, not to mention that it’s the poster child for this 3D film gimmick that’s apparently the next big thing. Oh, and the small matter of it being James Cameron’s first film in over a decade, following up his last modest success.